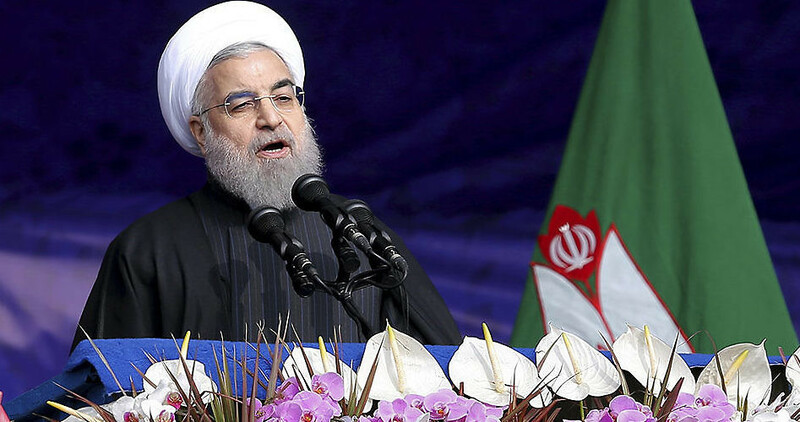 Iranian President Hassan Rouhani cannot be excited about the prospect of May’s presidential elections, the results of which will decide the fate of his leadership as well as his project to reshape Iran’s global position. Now, less than two years after Iranians took to the streets to celebrate the nuclear deal, America has made itself the target of public outrage with Donald Trump’s ban on Iranians from visiting the United States. This has hit the heart of Rouhani’s efforts to mend ties with the West, and Trump’s national security adviser Michael Flynn has issued an extreme (but vague) warning that Iran is now “on notice” after Tehran carried out a ballistic missile test. Both of them have real cause for concern. Since taking office in 2013, the nuclear deal has been Rouhani’s only real concrete policy accomplishment. A breakdown in relations with the US which damages both that agreement and Iran’s ability to rejoin the global economy could handicap him fatally in May’s presidential race. After a decade of sanctions, the economic troubles Rouhani was elected to reverse can still be felt among the middle and working classes. Conservative economists even claim that bringing down inflation, one of Rouhani’s main successes on the economic front, only deepened the recession. Rouhani’s personal friendship with Supreme Leader Ali Khamenei has not spared him from the powerful resistance of the conservative religious establishment. Without Akbar Hashemi Rafsanjani, whose unexpected death last month robbed him of his most powerful ally, Rouhani’s leadership looks vulnerable. Worse still, his backing among Iran’s reformists may be waning. Rafsanjani’s mourners challenged the security services by calling for the release of Green Movement leaders Mir Hossein Mousavi and Mehdi Karroubi. Freeing them was an important promise made by Rouhani, and he has failed to deliver. The stakes for those who want to see a more tolerant, open Iran are incredibly high, even if they don’t know it yet. Iran’s Guardian Council will not allow a real reformist with a chance of winning to run for president, meaning Rouhani is the closest thing to a viable candidate that the reformists will be allowed. If hardliners succeed in overthrowing him, Iran could very well be thrust back to the suffocating repression and international pariah status that marked Mahmoud Ahmadinejad’s presidency. Residents of Tehran might not sense the danger yet, but many in north-eastern Iran are already being effected by another crackdown that could offer insights into what Tehranis and the rest of the country might expect. In neighboring Turkmenistan, the derailment of a 20-year old agreement with Iran has led the Turkmen to cut off gas supplies to Iranian customers, coinciding with an ongoing crackdown as Turkmenistan’s economy unravels. In economic terms, Turkmenistan’s isolation is even worse than Iran’s was during the sanctions regime. Iran and China are the only two customers the country has left, meaning the Turkmen government can’t afford to antagonize its neighbor. Nevertheless, President Gurbanguly Berdimuhamedov’s dictatorship has managed to do it anyway, even as the situation in Turkmenistan is dire. Basic foodstuffs are in devastatingly short supply, taking weeks to arrive in most official shops. Workers in some regions have not been paid for months, and those who have been generally receive less than they are owed. All of this has put incredible pressure on Berdimuhamedov’s regime, and the Turkmen authorities have become very creative in their efforts to silence journalists trying to publicize what is happening. One month after 67-year old Soltan Achilova was attacked by bystanders and then arrested for taking photographs of people in a food queue, the country’s tobacco ban has been used to attack and detain independent reporters like Khudayberdy Allashov of Radio Free Europe/Radio Liberty. Allashov was arrested on December 3 and charged with possessing chewing tobacco; there are now fears that the reporter will be tortured in detention. Ironically, that ban on tobacco had earned Berdimuhamedov his best international press and helped to paper over Turkmenistan’s ongoing rifts with most of its neighbors. The World Health Organization (WHO) in particular lavishes praise on the Turkmen president for his harsh penalties on tobacco and the people who use it, and the regime uses those glowing reviews to boost its standing. Of course, WHO director Margaret Chan also praised North Korea’s healthcare system, and the organization’s anti-smoking conferences have been held in places like Moscow to shut journalists out. In Turkmenistan’s case, the WHO’s Framework Convention on Tobacco Control has close links with the government and held meetings in the capital Ashgabat just last year. Hassan Rouhani’s four years in power have made the Ahmadinejad years a distant memory, but the moderate gains of the past few years can be reversed easily. Iran’s notoriously vindictive judiciary, after all, has much worse things than tobacco laws to use against dissidents. Rouhani’s time in office has offered Iranians a small but noticeable opening to reach out to the world. If his critics are allowed to take back the presidency, that opening will slam shut and those who took advantage of it will be made to suffer. This article was originally published on Middle East Monitor. Malik Ibrahim is a risk analyst based in France. He works for several consultancies, primarily in the Middle East and North Africa.